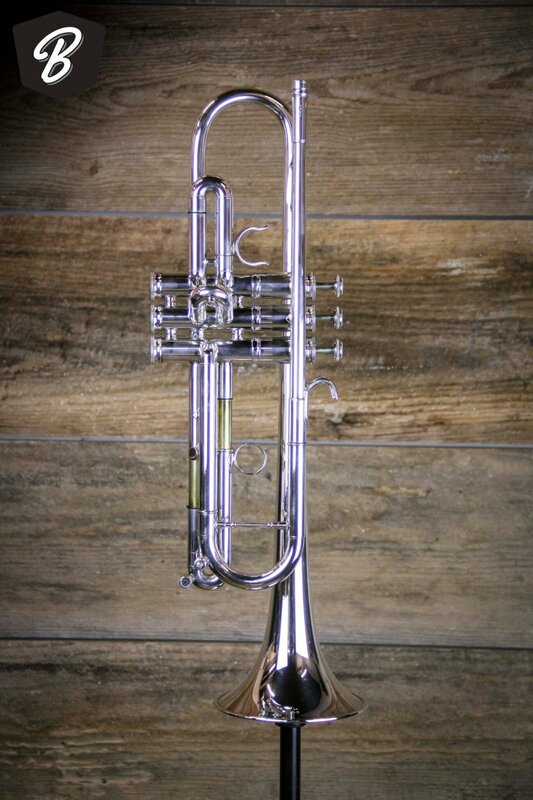 The 3052 features a .462" large bore, a #125R reverse mouthpipe, and a round crook tuning slide in addition to a #137 one piece, hand hammered yellow brass bell, providing a trumpet ideal for commercial and big band players that like a very free blowing instrument. The optional #172 light weight, yellow brass bell will significantly brighten the sound and increase the trumpet's responsiveness. Adding a square tuning slide will allow the trumpet to slot tighter and add more stability in the extreme upper register without jeopardizing its freeness. For those wanting a bit more resistance, the options of a .459" bore or a standard leadpipe setup are available. Thanks for shopping with BME! !